"We are CrowdFunding Guys / We are the CrowdFunding Guys"
Our Passion is CrowdFunding, in all it’s forms and flavors!. This video show is produced to provide you with most relevant and daily CrowdFunding news, campaign and information, this is to save time.Quality. Value. Convenience you expect with 30 minutes daily dose of CrowdFunding knowledge. Lockitron, which enables doors to be unlocked through a smart phone, was rejected by Kickstarter in October. It was turned away for being a home improvement product, which the funding platform does not support. But then Lockitron went "DIY" on its own crowd-funding. In one day, orders hit $500,000. They are now sitting at $2.2 million, the equivalent of more than 15,000 units. This highlights the need to Build your Crowd and create that following that will support your product, effort or cause. Amidst this confusion, it’s important to proceed carefully. Here are some tips on how to start preparing your business today. 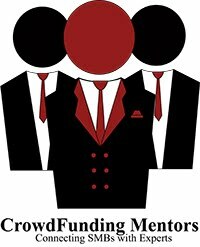 New Data from CfPA ( CrowdFunding Professional Aossociation)http://crowdfundingprofessional.org/new-data-released-by-the-crowdfunding-professional-association-cfpa-shows-surprisin, November Survey, show that even with High enthusiasm and positive expectations, less than 40 % of a sample of 442 entrepreneurs, investors and intermediaries rated themselves as having a 5 or less out of 10, in their understanding of the JOB ACT and Equity CrowdFunding. Sounds like Education and Information is a key to helping this new Legislation become successful in it ability to help the Economy. See CrowdFunding Planning.com for that up-to-date Information and Education from the well of accumulated and organized CF Data. U.S. unemployment rate is 7.9%, 12 million looking for work. Looking at these, 3 to 4 of the 5 topics touch on the idea of increased investment or “access to capital” for small businesses. The S.B.A. has outlined that 65% of new jobs in the U.S. over the last 17 years have been created by small businesses. .... most companies have profit growth goals, not employee growth goals...... revenue growth in a company that is one of the best determinants for whether a small business will hire and create new jobs....Without Capital, Businesses can not invest in growth and profits and hire more people. Get the JOBS ACT implemented! Contact our Congressional & Senate leaders & the White House to get this done and stop playing "Gotcha Games"
They should engage customers and other potential funders through social media and present a human face. This is more than a straightforward financial holding. Like social media itself, it's all about community. With thousands of individual product detail pages and category pages, e-commerce sites have many opportunities for great SEO. However, it is critical that you choose an e-commerce platform that allows you to control the many factors that are important for SEO....this applies with great improtance when building your Brand awareness in the begining statges of CrowdBuilding for your CrowdFunding campaign. Reward QTY and Quality: 10 perks between $5 to $500. Review: Re-Nuble collects the food waste from restaurants, schools, and food courts and uses proven technology to turn it into organic fertilizer and renewable energy that are then delivered right back into the community. Re-Nuble, Inc. is a sponsored project of Startup America. Pitch: LA Makerspace needs 3DPrinters, a Laser Cutter, and Open Project Time for Members to Innovate. Reward QTY and Quality: 10 perks and $1.00 - $155.00 - we recommend shorter list. "CROWDFUNDING PERILS, and how to Avoid them"
Everyone has an opinion on the crowdfunding industry these days: it’s the new thing; it’s over; it’s just getting started, it’s overheated; it’s the future of finance, it’s fundamentally flawed." When it comes to investing in Business and especially StartUps, like in all things, there are risks and rewards.....to think there are not, is just FOOLISH. Adverse Selection -- the perception "that the wizards of smart" in the tech industry, the Silicon Valley Venture Capitalists, have passed on an idea and that is why the "second rate idea" is seeking CrowdFunding....well the VC world may review up to 10, 000 ideas, before they select a handfull to fund at a .1% success rate in the Growth Sector, and the innovation rarely gets a glance, never mind the opportunity to "make that pitch".....what about the #2-5 on the VC shortlist, that do not fit their exact "profile"
businesses in industries that require heavy technical backgrounds, gaining an understanding of the marketplace and of a particular company’s position within it requires real expertise. The VC environment is filled with "experts" that come at a heavy price to determine the "Proof of Concept", or Business Model, and verify Intellectual Property and Copy write or Patent issues. This takes enormous amounts of time & effort, in addition to complexities in Ownership. Investment Terms (Bad or Good) -- This is an issue that is best discussed from the perspective of the Business owner/Innovative StartUP, not the Profit motivated Investor. With CrowdFunding, the Entrepreneur has the opportunity to present a case, where the idea ownership is pre-determined and the Inventor does not end up as an employee to the Investors, that do not have the idea, passion or vested interest in a term of success beyond the invested "exit Strategy"
Regulatory Issues -- This is an area filled with the SEC, Congressional oversite, FINRA and every version of "expert" that makes a buck in the process. The regulations will be protective from fraud, hidden ricks and require a full level of disclosure. Like in all investments, due your own research and make your own decisions. All the Broker/dealers and Expert advisors made a bunch of money on the FaceBook IPO, have any of those that bought the Stock @ $38 made a dime yet? Every bit of "advise" has an overt cost and a hidden cost, be aware and due your investing homework ?